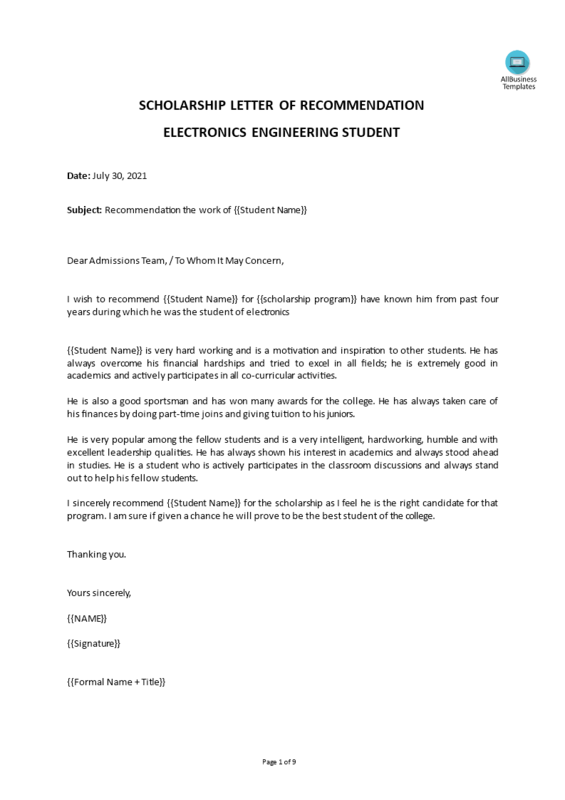 We provide a Recommendation Letter for a Friend for a Scholarship template that will help him or her achieve her goal in getting a scholarship. Such a letter or recommendation is a necessity for students who apply for a full or half scholarship. This free sample of a Recommendation Letter is easy to modify, so you can help your friend without spending too much time and effort.